In some ways, Hunter is the victim of its own success. On yet another drive up 87 with a recent transplant, I was asked to describe the hill. Being articulate or coherent at a quarter-of-six is hard work, so I settled on my gold standard of sports analogies. Hunter Mountain is kind of like the Yankees. Even if they win 100 games, the season is a failure if they don’t win the World Series. Since not everyone knows about Baseball, The Yankees are not only my favorite team but they are historically, the most successful. And in other news, precisely because of this, they have as many passionate detractors as they have casual fans. The analogy gets you pretty far before the coffee kicks in, but it doesn’t really hold water. There’s no World Series in skiing. And if you’re crying, you’re definitely doing it wrong. But Hunter does have some comparable titles. 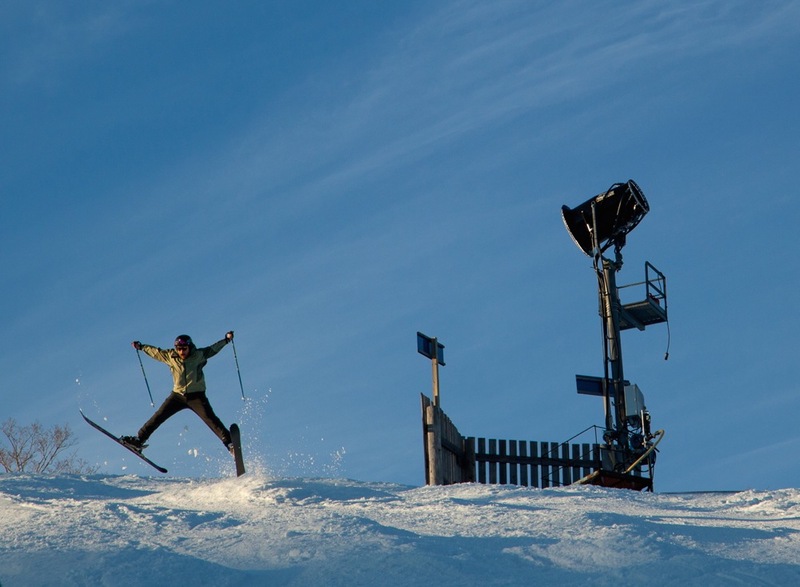 It’s hard to find a mountain that’s installed a single high speed lift the past few years, but Hunter has posted two. The worlds most powerful snowmaking also has its own legacy, the compressors of which were re-purposed from one of the most powerful warships of WWII. Perhaps more to the point of why I like skiing to begin with, Hunter is incredibly fun. A detractor might insert a point about Schnapps or some other nonsense, but the last I checked the 70s were over. What makes Hunter fun is the terrain, and the people that are attracted to it. My friend Matt for example was attracted to the long steep runs on Hunter West like Clair’s Way. Our group spent much of the day lapping the Silver Lady and ripping long soft turns there. 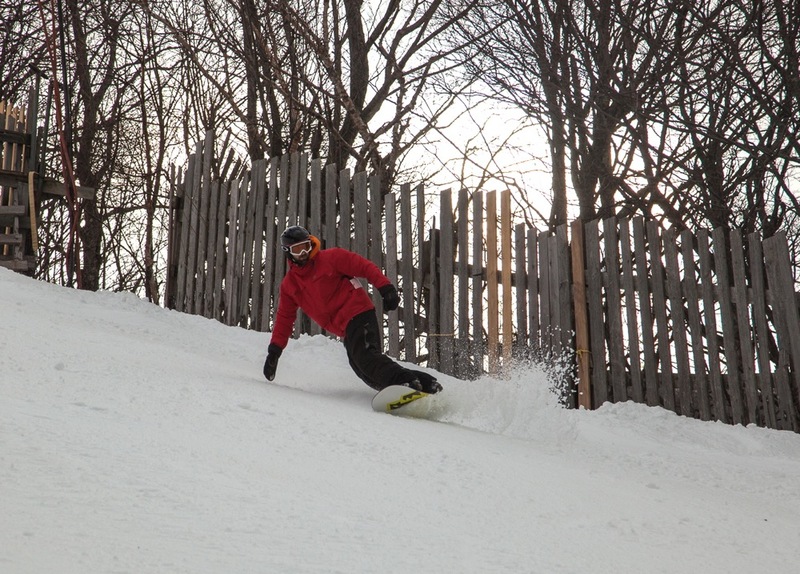 Saturday’s temps provided endless soft runs on the face, with bumps on the right side and the corn at the bottom approaching 4 inches thick. You might also enjoy a run on the East Side, like the oft-overlooked Cliffs trail, with it’s imposing rock face on the left and drop off on the right. For some reason, even in the middle of a bumpy zipper-line, I’ve always considered it more similar to driving the Amalfi coast than a typical eastern ski trail. My favorite part of the day might be timing that last bit of afternoon light on Minya Konka or Lower K, with a little bit of alpenglow and the broad valley’s trees stretching beneath you another thousand feet below. And, if you decide that the 70s weren’t so bad at the end of the day, the view of the hill isn’t so bad from an ski chair with a schnapps or more modern IPA. I chuckle every time I hear someone out west complain about the ice here and there on some slopes. I try to tell them about Hunter, but, they’ll never understand. I was there last year on a crowded day, and had to hand it to the guy who was directing traffic down at the bottom of the six pack, right where the lines converge. He was wearing a Red Sox hat. That took cajones. Benny – there was no ice. 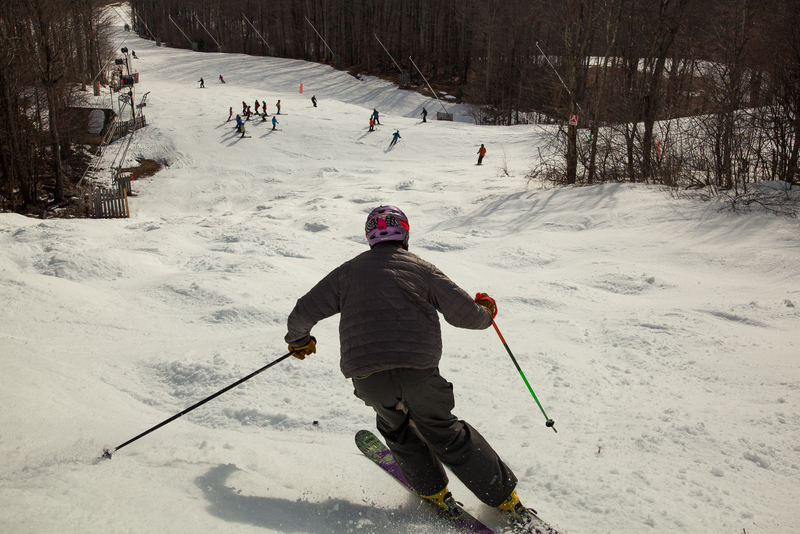 It was 50 degrees and sunny, and there were no lines on Hunter West. I went to the bar after skiing so I could sit on the deck because it was beautiful out. Lines at the bar were also minimal. Why perpetuate this really stale notion of what the mountain is/was? My partner that day has spent more time in Utah/Montana than in NY, and we had a blast. Maybe you should just go sometime when it looks good, because you MAY end up enjoying yourself. And yeah, Red Sox guy does have cajones and also knows how to load that chair better than anyone. Hunter had a ton of natural a week after Thanksgiving but the Christmas R ruined that, Sunday night it got cold and things iced up, by Tuesday morning the snowmakers had covered all the open trails with powder, KUDOs to all. 1) Because a large portion of the trails were literally blasted and bulldozed into a rock face, they lack dips and rolls and other personalty that Mother Nature normally graces terrain with. Belt Parkway and (insert any other blasted trail) literally skis like a parkway. The lower mountain and west side trails are better, but personality is still an issue with them. 2) They are out of the snow belt. Or at least that particular location is in a snow void. They blast the hill like no where else, but the surface there always has that mucky quality to it. Now for spring skiing, I love hunter. That man made base makes amazing mash potato moguls. There was a time when they didnt shut the hill down the second weekend of April every year. Nothing worse that looking at a mountain with 95% coverage and a closed sign at the door. Sheesh yourself. 50 degrees and soft is extremely rare at Hunter before late March. Most of the time it’s man made ice. Just imagine what it’s like today and the next week now that it’s cold. The place only get 80 inches of natural, after all, but, they do know how to make snow. Amazing how they can cover that mountain in no time. 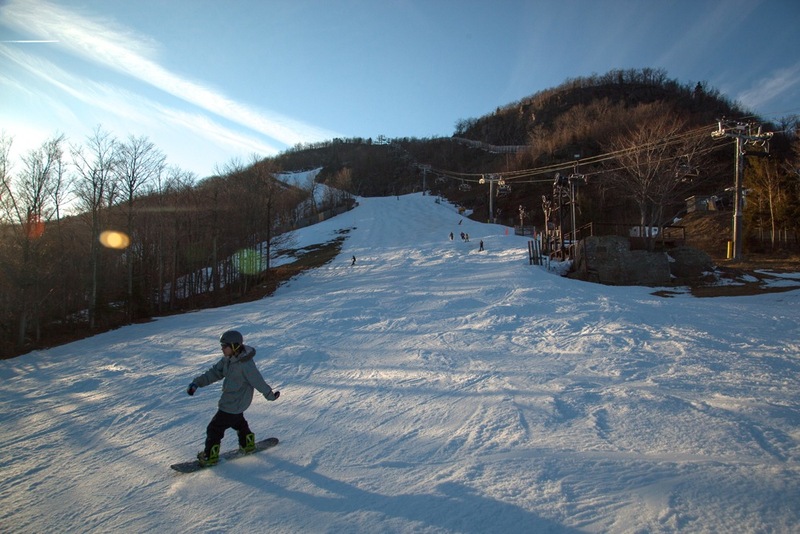 I rushed up there a few years ago after a front came in and dumped a foot and a half on the Catskills, and was still hitting glare ice in a lot of spots underneath the new snow. You tell me the correct ski choice for conditions like that. The place does produce a very good skier you just don’t find most anywhere else, though. I have watched dudes slaloming blue ice under the old west chair with style. Pretty amazing. Then there’s the issue of skier collisions. One day three people bounced off me, and one took me out into a snowmaking pipe. Good times. Hunter is a great mountain and we take advantage of it a few times a year. 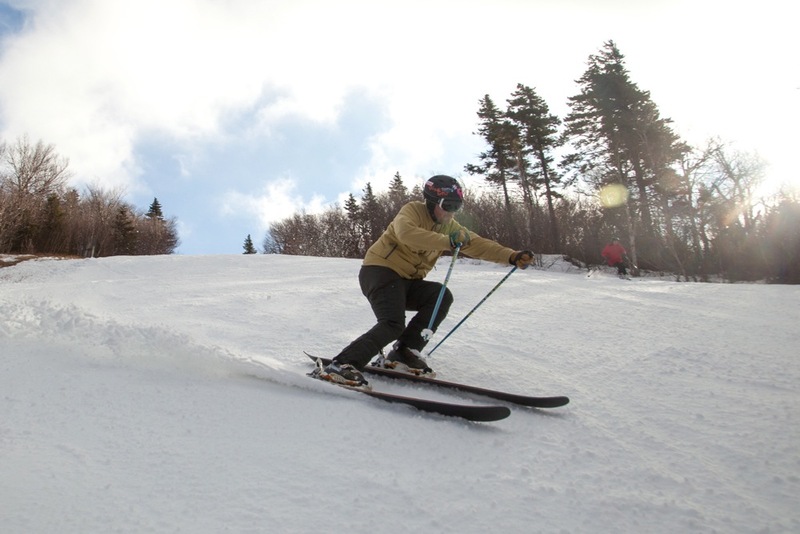 Great snow making and decent trails – though no real glades. Well none in fact even though there are a couple. Wish Hunter would make a couple. I think for us, the only real issue we have with Hunter is that it’s too crowded. Great post, we are for sure going back to the mountain this season another 3 or 4 days.